Parametric model order reduction (PMOR) has received a tremendous amount of attention in recent years. Among the first approaches considered, mainly in system and control theory as well as computational electromagnetics and nanoelectronics, are methods based on multi-moment matching. 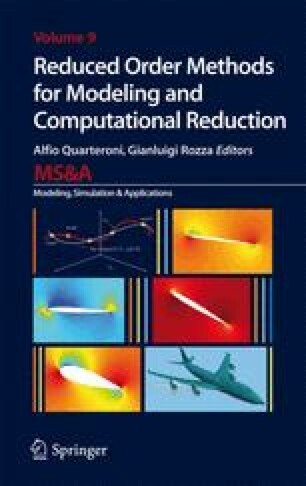 Despite numerous other successful methods, including the reduced-basis method (RBM), other methods based on (rational, matrix, manifold) interpolation, or Kriging techniques, multi-moment matching methods remain a reliable, robust, and flexible method for model reduction of linear parametric systems. Here we propose a numerically stable algorithm for PMOR based on multi-moment matching. Given any number of parameters and any number of moments of the parametric system, the algorithm generates a projection matrix for model reduction by implicit moment matching. The implementation of the method based on a repeated modified Gram-Schmidt-like process renders the method numerically stable. The proposed method is simple yet efficient. Numerical experiments show that the proposed algorithm is very accurate.